Lavish your kitten with love from the start. The mere thought of a kitten can make you feel all warm and fuzzy inside. 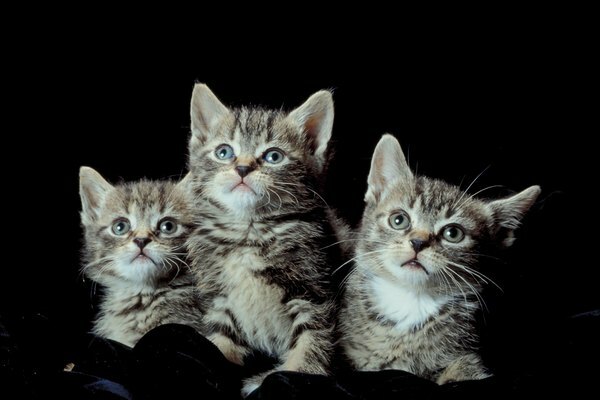 Kittens are tiny, fluffy and clumsy creatures—what's not to like? The key to rearing kittens who are just as sweet as they look, however, is proper and early socialization. Spend the necessary time. Raising a kitten properly can be a time-consuming process—a labor of love, if you will. It is certainly not something you want to phone in. Set aside a few hours every day to devote to training and socializing your kitten, and remember that this may need to go on for weeks or even longer. Touch the kitten a lot. From an early age, it is very important to establish a positive and comfortable association with touching. Allow the kitten to learn and remember your scent. Help her develop a "feel-good" connection in her brain when you touch her. Creating this bond is half the battle in raising a sweet and gentle animal. Talk sweetly to your kitten. Make a point to "chat" to her on a daily basis, and keep your voice quiet, calm and sugary sweet as can be. Hold her close to you as you do this—and keep it up for a few minutes at a time. Rub the top of her head and back gently. These actions will remind your kitten of her mother grooming her—definitely a positive association. Discipline your kitten. A stumbling block on the path to sweet kitty behavior is aggression. If your kitten engages in behavior such as biting or scratching, firmly say "No" to her to end the behavior. Never allow bad behavior in a kitten to go unnoticed. Using treats to reward a kitten for good behavior can be an effective way to point her in the direction of sweetness. Remember—the younger the kitten is when you start socializing her, the higher your chances will probably be of raising a sweet and relaxed kitten. If possible, start when your kitten is around 6 weeks old. The older the kitten is, the longer the process may take. If you happen to be handling feral or "wild" kittens who have never been around people before, exercise caution when handling them. Wearing protective gloves and long-sleeved shirts is highly recommended in case the kittens bite and scratch out of fear.